If you are having trouble starting to communicate with native speakers in Chinese then this package is the kick-start you need. I've had the opportunity to spend some quality time with the Fluent in 3 Month Premium V2 before its launch. Below are my thoughts in detail about what you get and how it'll help you. This package focuses almost exclusively on getting you started with actually speaking the language. This is the most important step you can take in learning a language - everything else becomes easy once you are actually communicating and using the language. This is an issue close to my heart, one that I've personally talked about a lot on Sensible Chinese and elsewhere. Talking ASAP is vital for learning a language and delaying communication is the surest way to kill your language learning efforts. The Premium package is an elongated kick in the backside to get you to this stage. If you've been "learning" Chinese but not really getting very far, chances are that you are doing too much studying and not enough communication. This package will help you get started with communication. The new format in version 2.0 emphasizes step-by-step progress much more than the previous editions. Instead of telling you what you should be doing and hoping for the best, the new version adds action points. These action points reduce the friction and will help you get speaking. If you are already speaking with native speakers (at whatever level of ability) then the package isn't for you. You've already got over the largest obstacle holding you back. There are additional tips and tricks for language study but a lot of these can be picked up elsewhere on Sensible Chinese, Benny's blog or other places. Fluent in 3 Months is a blog run by @irishpolyglot Benny Lewis. If you don't know Benny's story then check out this page. In short Benny, like most of us, left school speaking only his mother tongue and a spattering of "school-boy French". Despite this Benny embarked on a mission to become a polyglot, tackling language after language and perfecting his own "method" for learning languages. Since then he has built a successful blog, done a couple of TED talks and been named National Geographic's "Traveler of the Year". All whilst traveling the world and having a lot of fun. The core of Benny's method is to start speaking your foreign language immediately. As in, from Day 1. This flies in the face of some other, more traditional, language methodologies which say we should get as much input as possible before we start speaking. Only once we have a satisfactory level of language should we even attempt to speak. Otherwise we'll just make a tonne of mistakes and never learn anything. Benny instead encourages talking immediately and making as many mistakes as possible. These mistakes become the foundation of what we need to learn and study. Our communication (or more importantly miscommunication) is what drives the learning process. If you've read pretty much anything on my blog or taken any of my Chinese language courses you'll know that I follow the "talk from day 1 approach". I too, like Benny and so many of us, first experienced "language learning" in the classroom. I spent years "learning" French, only to be dumbstruck the moment I needed to actually speak French to a French person. Since then, inspired by people like Benny Lewis and Tim Ferriss, I've followed a much more communicative approach - starting to try to speak immediately, making a tonne of mistakes and using these mistakes to guide how I learn. What is the main lesson of Fluent in 3 Months? Benny's Fluent in 3 Months is really an exercise in laser-focus. Everything Benny produces and writes is connected to getting people speaking their foreign language ASAP. As far as Benny is concerned the number one reason people fail to learn languages is that they spend far too much time "studying" languages and not enough time "using" them. We hide inside textbooks, fiddle around with apps like Rosetta Stone and Duolingo, attend group classes and basically do anything that doesn't expose us to actual communication with human beings! Making mistakes is hard. We fear being wrong. All these other language learning activities are ways to avoid taking the plunge of talking to a native speaker. The barrier to language learning is never the difficulty of the language, the complexity of the grammar or the alieness of the pronunciation. All of this is surmountable. The barrier to language learning is very often you. The barrier to language learning is the human desire to not be wrong. We HATE making mistakes, especially in front of people. But language learning requires us to do just this. In fact to really learn a language we need to learn to embrace and enjoy our mistakes and failures. Once you've got the confidence to try to speak a language, mess up and take on corrections then every other barrier crumbles. With this confidence comes more and more communication and a faster progression than you'd imagine possible. Simply by practicing the skill we actually want to learn: communication. This isn't rocket science. To get good at something we need to practice it. To get good at speaking Chinese we need to speak Chinese. Not work through textbooks. Not play with flashcards. Not sit quietly at the back of a group class. Language learning activities are not build equally and unfortunately the most effective are also the "hardest"; the activities that require exposing ourselves to mistakes and errors. The Fluent in 3 Month's Premium package is basically the kick-in-the-backside that a lot of language learners need. It's a call to stop fussing around with language "busywork" - activities that make us feel like we are learning - and instead to actually start using and practicing the skills we want to acquire. Do Benny's methods apply to "the most difficult language in the world"? Nope - Chinese is just another language. Just another way for humans to communicate with humans. Chinese retains a certain mystique because of the characters. I've argued elsewhere that the characters are not particularly "hard", they are just darn time-consuming. With the right approach (like the one I've outlined in my step-by-step Chinese Character video course) the characters are definitely surmountable. However, I always tell beginners to hold off from learning the characters until they have a basic foundation in spoken Chinese. Thankfully, spoken Chinese is relatively straigthforward. The "difficult" parts for a native English (or European-language speaker) comes in the tones and the pronunciation system. Once pronunciation and the tones are nailed down Chinese gets much more managable. With a handful of words and phrases under your belt its simple to start putting together sentences and communicating quickly in Chinese. Much easier than in a grammar-heavy language like Japanese or Russian (or even French!) where you'll find yourself tripping over the language itself. Chinese has simple plurals, no conjugation, no inflection, no tenses (in the European sense) and lacks many of the other bugbears of language learning. Instead, spoken Chinese is very simple once the initial difficulties of pronunciation and tones have been surmounted. The "talk first" lesson of Fluent in 3 Months are absolutely applicable to Chinese. In fact I think they are MORE important in the case of Chinese where it is important to speak first and then worry about the writing system. What about that Fluent in 3 Months claim? Is it really possible to be fluent in Chinese in 3 months? The "hardest" language in the world? Well, first of all, it's a piece of branding that isn't worth getting hung up about. Yes, Benny's initial mission was to get to high levels of conversational fluency within 3 months but more recently the time limit has been less important for him. Also, "fluency" is a slippery, slippery term. It's very subjective. It depends entirely on the scope of the languages you want to be able to use. Do you just want to be able to order a meal in a Parisian restaurant without the waiter switching to English because of your embarrassing French? Or do you want to be defend your PhD in a a foreign language? These are both valid language goals but have HUGELY different language requirements. Fluency is simply the ability to perform in the particular situation. To be able to communicate with the native speaker as you would in your mother tongue. Personally I consider myself fluent in Chinese but I would not be able to defend a PhD in Chinese. In that situation I would not be fluent. To be fair, I'm not sure if I would be able to defend a PhD in English! Benny talks a lot about "fluency" and how to set realistic and practical goals for your language learning. Whether or not you can reach your particular fluency goal in 3 months depends on where you set the bar and your personal commitment. If being able to introduce yourself and hold a basic conversation is your immediate fluency goal then yes, you can reach this level of Chinese in 3 months. Especially if you hold off on the characters and use the time instead to get high quality speaking practice. However, talking about the 3 months timeline is really missing the point here. The big takeaways are about talking from Day 1 and focusing our practice on the skill we want to actually learn ie. communication. And in this respect Fluent in 3 Months is absolutely relevant to Chinese. Chinese is a language like any other and learning to speak requires making mistakes. In fact, perhaps more than any other language it's also possible to get caught up in the writing system and delay speaking. This fact makes speaking from Day 1 even more vitally important. What's Inside Fluent in 3 Months Premium 2.0? The Premium package is the culmination of Benny's work and brings everything together into a neat, structured bundle. Yes, you can likely find most of the tips, tricks, activities and suggestions elsewhere but you'll spend a lot of time researching and synthesizing this information yourself. That's time not spent practicing Chinese; that's more "busywork" that doesn't help you reach your goal of speaking Chinese. The core of Fluent in 3 Months Premium is the extensive Language Hacking video course. Speak from Day 1 Video Course - 8 Modules to get you started with actually speaking Chinese. Premium Video Tutorials - a further 9 Modules helping you to extend your language learning toolkit using iTalki, Meetup, Coach.me, Memrise and other top language learning resources. These video tutorials go into how to get the most value from these powerful resources. Masterclass Video Interviews - talks with top polyglots to help you learn about other learning methods and strategies to introduce to your study. Conversational Connectors - lists of words and phrases to help make your language sound more natural. The second part of Fluent in 3 Months Premium is the Language Immersion section. This section has two main parts - a tool for helping you to create a daily language immersion schedule and very extensive lists of language learning resources. Premium 2.0 includes resource lists for 11 big languages. Chinese is included. If you are learning any other languages (or planning on) then the additional resource lists are a nice bonus. You can find out a lot more about what's in the package over on Benny's blog so I won't get into a comprehensive list in this review. In short there is a LOT of material in here. ​Previously Premium had similar contents. Again, Benny's message is laser-focused on getting learners speaking from Day 1 so I wouldn't expect a massive change in the content itself. I​nstead the main addition in Version 2 is the addition of more actionable step-by-step guidance. ​Previously Benny delivered his message in his blog, his book and in the first version of Premium in a standard way: he spoke/wrote and you listened/read. ​This is fine and gets the message across but suffers from the same curse of most advice: it's pretty much useless unless you, the reader, goes ahead and follow the advice! ​Think of the self-help section of your local bookshop. The advice in most of those books is sound common-sense (for the most part) but still the self-help and self-improvement sections overflow with newly published titles each year. ​If people actually acted on the advice given then the self-help section would be a LOT smaller! ​The problem is not that advice is readily not available but instead that there is often too much advice for us to act on. We get inundated with tips and tricks about how to reach our goals but so often don't succeed because we don't act. ​This is exactly the same with language learning. There are plenty of great textbooks and audio courses out there. There are hundreds of great language learning blogs telling us how to best use these resources. There are thousands of teachers and millions (or even a billion in the case of Chinese) native speakers who can help us. ​The problem is not lack of content or resources. ​The problem is us as learners actually getting our butts into gear and doing something. ​My main concern with the last version (V1) of Fluent in 3 Month's Premium was that it fell into the trap that many other advice giving websites do. It provided the learner with amazing information but then kinda left it at that. ​"Here's some great advice. You should probably use it." But most people won't act! ​Instead we keep bookmarking more sites "to read", keep buying more products to help us learn a language. Keep stacking up more shiny textbooks. But we don't use them. We instead think we'll get to it someday. ​The thing I therefore like most about Version 2.0 is the inclusion of a step-by-step interface and more guidance. Step by Step interface : now there is a language learning pathway, moving from a clear start point to a clear end point. The basic path moves from learning how to be a language learning, mastering a few basic phrases, building a core learning system and then being guided into creating your own personalized learning routine. Specific tasks : each module has specific tasks to complete with checklists to tick off at the end of each section. This helps you from falling into the trap of passivity. Journaling : built directly into the system is the ability to write notes and phrases that you are learning. Scheduling tool : a new tool that gives direction for how to create a learning routine that works for you in the short and long term. There's a blank schedule that can be filled in online as well as guidance about how to build a sustainable schedule. ​Benny's approach in the new Fluent in 3 Months Premium Version 2 follows this philosophy, which is fantastic. ​Of course, it's still up to you to get it done but by breaking the action points up into small manageable chunks Benny has made it much more likely that you'll get it done. ​And if you do get these action points done you will become a better language learner. It's that simple. Who is Fluent in 3 Months for? The absolute ideal audience for Benny's course is someone who has never tried to learn a language before. These people haven't picked up all the bad habits that we get from trying to learn in a classroom. They won't fall into the traditional traps but instead just start speaking and enjoying the language from Day 1. ​Without the hangups so many of us have from "school French" language learning would be a lot more joyful! ​However, most people who will be reading this (and most people signing up for Premium V2.0) will be already trying to learn a language. ​Perhaps you've been learning Chinese for a few months already but you still struggle to understand native speakers. Or perhaps you can't be understood when you speak. Or worse, maybe you haven't even tried speaking to someone in Chinese! ​Maybe you've stuck your head in a textbook and started to grind-memorize Chinese characters from a seemingly endless pile of flashcards? ​The term for this sort of learner is "false beginner". It is someone who might have studied the language for some time but hasn't really got off the ground yet. ​Unfortunately this sort of learner is the most likely to give up and declare that "Chinese is too hard!" ​In fact they haven't tried to speak Chinese yet. So how can they decide it is too hard? ​If any of this sounds familiar to you, if you find your progress to be frustratingly slow, if you find yourself blaming Chinese for being "too hard", then this might be you. ​My advice would be to step back from the textbook, stop trying to memorize characters that don't yet mean anything to you and instead apply yourself to mastering the basic fundamentals of conversation. ​This requires finding someone to speak to and getting in regular speaking practice. It also requires getting out of your own way, not being a barrier to your own progress, and realizing that to learn you are going to have to start making mistakes. Lots of them. ​This takes confidence and a kick-in-the-backside to get it done. 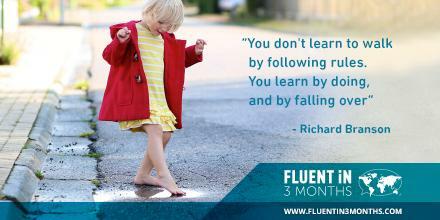 ​The new Fluent in 3 Months Premium package is the best kick-in-the-backside confidence builder I know of. Who is Fluent in 3 Months NOT for? This is simple. If you are already speaking and enjoying the Chinese language at any level then you probably don't need this. At any level? Yes. Even if you are still stumbling through your first 你好 and falling flat on your face it does't matter. As long as you are already interacting with native speakers on a regular basis then you are leagues ahead of most language learners already. Fluent in 3 Month has a laser-focus on getting you speaking regularly. If you are already doing this, no matter how badly, then you don't need the lessons in this package. You're going to be fine already. You'll be progressing and enjoying the language just because you are already speaking it. Just keep doing what you've been doing! ​The vast majority of the value in the Premium package comes from the first section that is aimed at beginners and false beginners who have not started to speak. If you are speaking already then this is not you. ​The Premium package does have additional lessons and tools (especially in the Masterclasses, the Scheduling Tool and the Resource sections) but this is stuff you can pick up elsewhere. In fact you can get a lot of it at Sensible Chinese. For instance, here's the Sensible Chinese resource guide. ​If you, as someone who has already started speaking regularly, work through the package you'll probably think "well, obviously". You should feel lucky and fortunate that you are in this position because so many learners haven't made it to the stage of speaking yet. Give yourself a pat on the back! Whilst the Fluent in 3 Months package is incredibly valuable in its own right it can be enhanced. ​The package is non language-specific, meaning that it doesn't focus particularly on Chinese. ​Therefore to supplement the package I have a suggestion. I've got a First Week in Chinese course which guides you through the first week of spoken Chinese with native speakers. ​Think of it as a guided bootcamp in communicative Chinese, focusing on skills like finding a free language exchange partner, getting a Chinese name, how to type in Chinese, how to use a Chinese dictionary etc. ​There's also basic Chinese content (saying hello, introducing yourself, saying where you are from etc.) but the main value of this course is getting you speaking immediately. ​I do this by showing you the tools that allow you to access Chinese native speakers in minutes for free and give you super low-friction exercises so that there is no excuse for not speaking. ​The philosophy of my First Week in Chinese course is very much aligned with the teachings of Fluent in 3 Months Premium, simply with Chinese specific content and skills included. A perfect match. To help early learners (or false beginners who haven't started speaking) I therefore want to offer my First Week in Chinese course (normally $17) for free to anyone who signs up for Fluent in 3 Months Premium. All you need to do is shoot me an email copy of your receipt or confirmation at this email (hanziwallchart@gmail.com) and I'll enroll you for free in the First Week in Chinese course. ​To make it all a little sweeter I'll also send you a copy of the Chinese Language Pack (normally $25), also for free. This has a couple of pronunciation courses, some eBooks about learning Chinese, a radical poster, posters and vocabulary lists of the 1500 most common Chinese characters and the HSK vocabulary levels 1-6, digital flashcards of the vocabulary and some other goodies. It contains enough material to go from day 1 to high-advanced level Chinese - enough for a couple of years of study at least! ​With these three resources (Fluent in 3 Months Premium, First Week in Chinese and the Chinese Language Pack) you'll have an incredibly strong foundation in Chinese to work from. Just shoot me an email with the Premium package confirmation and I'll send you over the Sensible Chinese free resources. The best way to get started speaking and build confidence. A lot of content and, more importantly, mechanisms to make sure you follow the advice! A great kick in the backside to shift you from "false beginner" towards actual fluency. Laser focus on speaking means that if you are already speaking the package is of less use. Ready to take the plunge and actually start speaking Chinese? Send proof of purchase here to claim your Chinese specific video course + resource pack worth $42.